Notes on rovers: Spirit and Opportunity were not at 100% charge at the beginning of the first attempt at the EVA due to problems with water and the external breaker of RAM. Breaker was reset and is now functional. They were left to charge for an hour in order to reach 100% charge and were then fit to be used on EVA. 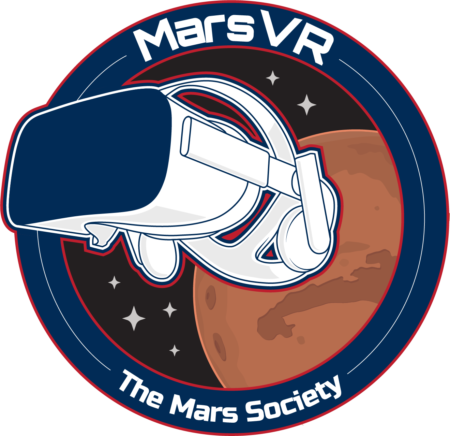 Crew 205 decided to start a new project: The Mars Puzzle! 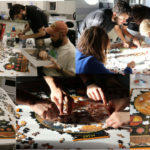 It seems to be tradition that crews finish this puzzle while being at MDRS and we are planning not to be an exception! Since yesterday the fever has spread among the crew and every free minute not spent working is used to finish the 1000 piece puzzle. We will not stop until we have finished it and we will keep you posted! 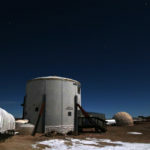 The crew journalist could not resist grabbing her camera last night and shot pictures from the tunnels around the Hab with the Moon lighting up the sky almost like daytime! 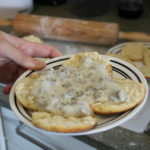 Our chef-de-cuisine Hannah and so-chef Dave prepared biscuits and gravy which was a new experience for most of the crew and all of us loved it! For lunch we had Kartoffelgratin (translated potato casserole) prepared by Maria before we prepared for our EVA! 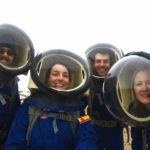 Shortly after Nathan, Natalia, Ghanim and Maria stepped out to make their way to the Candor Chasma to collect rock samples we realized that the rovers Opportunity and Spirit had not been charging for the past 3 days. This meant the crew had to troubleshoot and wait until the rovers were at full charge before we could use them. A second attempt was performed at 1430 and with fully charged rovers we made our way down the road. At the end of Galileo road, we realized that the weather was changing, and the EVA crew decided to return immediately. 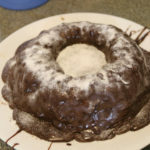 After this short EVA the crew was welcomed by the support crew and an amazing looking lava cake. The afternoon was packed with crew members filling out the surveys for the leadership project, the continuous care of the ISRU plants (happily still alive) and continued work on the puzzle, which is still bugging us…. But we promise that we will not rest today until it is done! Narrative: The nutrient supplementation in regolith experiments are still ongoing. However, due to mishaps in shipping, chlorophyll analysis may not be possible since the methanol has not arrived to the Hab (an organic solvent to help extract chlorophyll from the biomass). Consequently, these experiments may have to end without further analysis and they will be repeated upon return to Florida Institute of Technology using the same regolith samples. 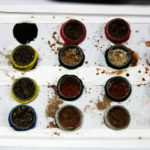 These experiments performed at the Hab do nevertheless represent the baseline tests astronauts will have to perform to determine the viability of substrates to support plant growth. The nutrient deficiency observed in the tomato plants appear to be improving, since the yellow coloration is decreasing. The “Mystery Greens” from the spilled seed bank have sprouted and appear to be healthy, with two apparent variants of seedlings. Tomorrow, we will perform some additional grooming of dead biomass from several of the unhealthy plants to stimulate growth as well as contribute to our ISRU cellulosic ethanol study. Similar to yesterday, the door remained closed for most of the day due to the low ambient temperatures and overcast weather. However, at 1200 hours, the door was opened to allow for ambient airflow and closed at 1340 hours due to the drop in temperature. Sol Activity Summary: We woke up to an overcast sky and biscuits with sausage gravy. 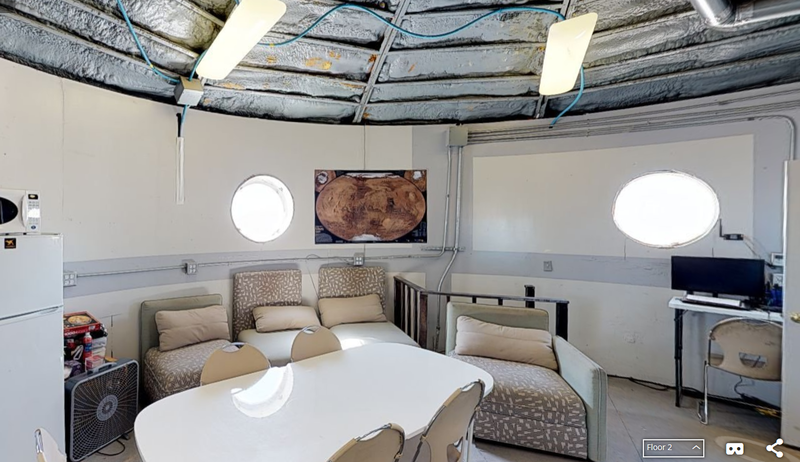 The crew worked on a jigsaw puzzle of Mars while drinking their morning coffee. 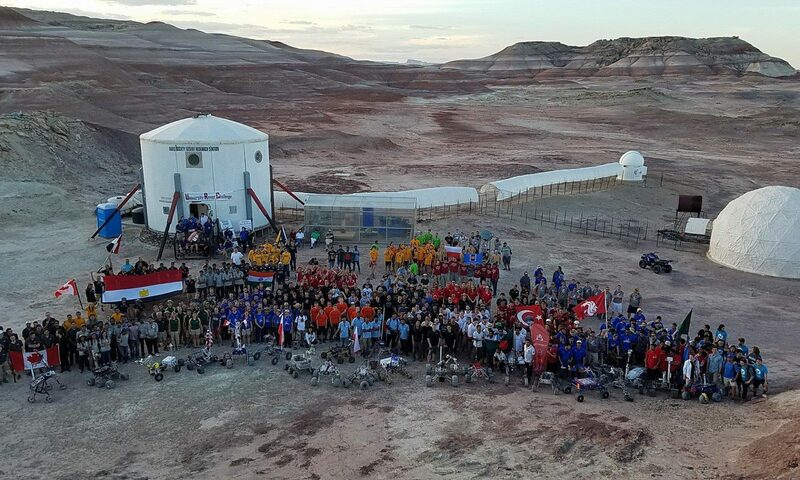 The EVA 14 team left the Hab at 1300 and quickly realized that Spirit and Opportunity did not fully charge. Atila reset the RAM’s external breaker which solved the problem. Approximately one hour later, the EVA 14 team set out again towards Candor Chasma on Spirit and Curiosity. 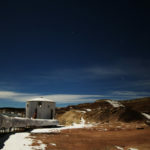 However, when they had nearly reached their destination, they noticed fast-moving clouds and decided to return to the Hab to prevent weather-related issues. Later in the afternoon, light precipitation occurred while the crew ate chocolate lava cake and continued to piece together the puzzle. We finished the evening by enjoying movies from the Hab collection. Apollo 13 is a crew favorite. Look Ahead Plan: If weather and ground conditions allow, although it currently seems unlikely, part of the crew will go on EVA 15 to The Moon. We will continue to work on developing Standard Operating Procedures for future crews. 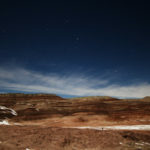 Anomalies in work: Spirit and Opportunity did not fully charge. Resetting the RAM’s external breaker fixed the issue. Support Requested: We did not receive any cloth towels with the initial supplies and therefore are on our last roll of paper towels. We would appreciate more paper or cloth towels for cleaning.